There is a popular African proverb that says “it takes a village to raise a child”. Nowhere is this proverb more important than in the education of our children. The success of the child depends on the community that surrounds and supports them. That community is made up of staff, learners, tutors, volunteers and parents. Two of the volunteers at the Joza branch share some of their thoughts on why they continue paying it forward and volunteering at the branch. Sibulele Moyakhe is from the matric class of 2015. He tutors daily at the branch while waiting to start his nursing qualification with Netcare. Nomboniso Gongqa is a volunteer from the community who works in the office in the mornings and tutors in the afternoons. Being a tutor for me is exciting because I get to meet people of my age and those younger than me and actually help them with their school work. Part of the reason why this whole experience excites me is because in the past few years I was a learner and there were volunteers who helped me with my school work and today I can proudly say they have made a difference in my life which is why today I made a decision to give back to the community and help when I can. For me this tutoring thing is now becoming my hobby because it is something I get to do every day and I must say I enjoy it. There is nothing quite like being called up by a student who is stuck or cannot solve a problem asking for help, and after your assistance you see the smile on their face because you have made a difference in their lives. 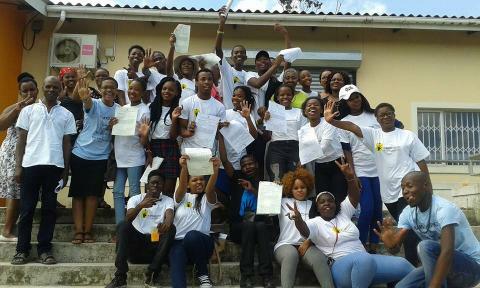 One thing I have learnt ever since I have been part of IkamvaYouth is that all it takes to make a difference in one’s life as a tutor is a simple input and help where you can, and that’s what I have been doing. The learners I work with have been very appreciative which is what drives me to keep on doing what I do, and so far the journey for me has been more than worth it, and yet this is only the beginning. 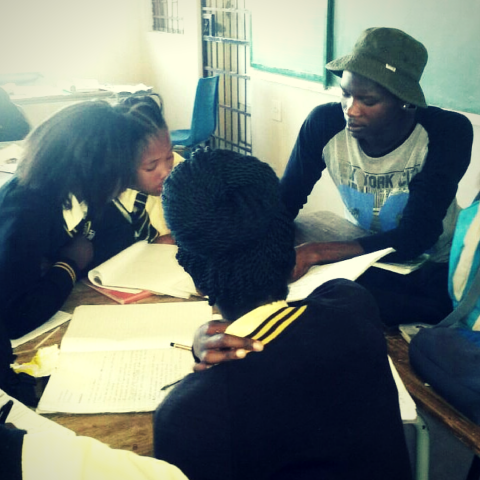 Sibulele Moyakhe, Matric 2015, Tutor 2016. Being at IkamvaYouth has been a great experience for me because waking up to go volunteer has made me feel like a better person. Knowing that I am not here to make money for already rich people but rather helping the children of my own community. I was born and bred in Joza and I enjoy being part of an organization that has a motive of helping Joza children to be successful in life. For me it is exciting every morning when I come to the office to see the children who are willing to put in the hours to benefit their future. The programme gives these children an opportunity to improve their education rather than spend their hours after school being involved in activities such as crime and drugs. They say if one wants to make a change then they should start at home. I’m also gladly starting at home. As much as the learners are learning from me, I am learning from them too. Nomboniso Gongqa, Volunteer and Tutor.